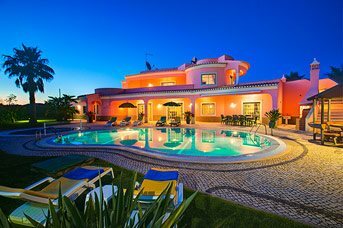 Villa holidays in Armacao de Pera offer guests an interesting mix of old and new. The town has expanded rapidly to accommodate the thousands of visitors, many of them Portuguese, who flock here each year to enjoy one of the finest beaches in Portugal. The whole shoreline buzzes with high rise apartments and hotels, shops, bars and restaurants. Yet the old town is almost unchanged, and still preserves its original charm.Villa holidays in Armacao de Pera offer guests an interesting mix of old and new. The town has expanded rapidly to accommodate the thousands of visitors, many of them Portuguese, who flock here each year to enjoy one of the finest beaches in Portugal. The whole shoreline buzzes with high rise apartments and hotels, shops, bars and restaurants. Yet the old town is almost unchanged, and still preserves its original charm. 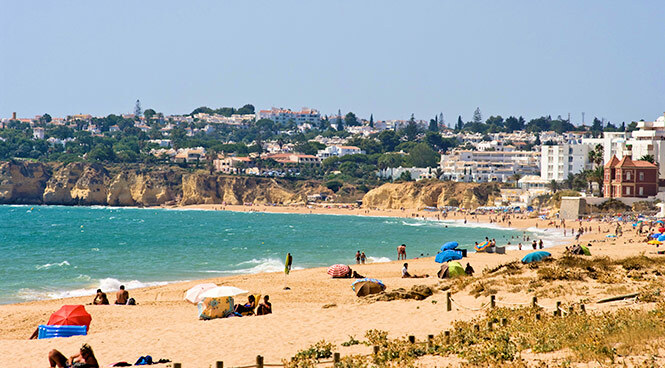 Armacao de Pera, just 10 miles west of Albufeira is a busy high-rise resort, famous for its magnificent long sandy beach that stretches all the way to Praia de Galé. It has all the modern shops, bars, restaurants and nightlife you need, and the atmospheric old town, to the east behind Fisherman’s Beach, gives you an intriguing glimpse of the history of the place. The exceptional beach is the main draw for visitors on villa holidays in Armacao de Pera, thanks to its long, wide stretch of fine sand. The busy beachfront adjacent to the town has all the facilities you would expect - sunloungers and umbrellas for hire, and plenty of bars, cafes and restaurants. However, if you want some seclusion, it’s easily achieved – at low tide a short stroll along the shore under the cliffs will bring you to peaceful little coves and rock pools that you may well have all to yourself. Today, Armação de Pêra earns more from tourism than fishing, but the industry is still at the heart of the town, and in fact gives it its name. The original fishermen came here the inland region of Pêra, and armação refers to a special fishing boat designed by the Moors. The catch is still hauled in every day on Fisherman’s Beach, and this is the place to buy the freshest fish for your evening barbeque at the villa. If this is too much like hard work, there are excellent fish restaurants down by the beach. You can see the remains of a 17th century fort, built by a wealthy fishing family to defend the village. There is even a chapel inside, dedicated to Santo António, which is also 17th century.